To secure a booking a £100 deposit is required (This is non-refundable if the holiday is cancelled).by paying the deposit you are agreeing to the conditions stated. The full amount is payable including a £50 damage/breakages bond 6 weeks before your stay, and if the holiday is cancelled within the 6 weeks period full payment is none refundable . The bond will be refunded within 7 days after your stay once the caravan has been inspected. If it is a last minute booking then full payment including bond is required at time of booking. On departure please leave the caravan as you found it ready for the following guests. Keys to be collected between 2-4pm on day of arrival from park reception. You must bring the completed booking form in order to receive the keys. The caravan is to be vacated by 10am on departure day unless otherwise arranged. 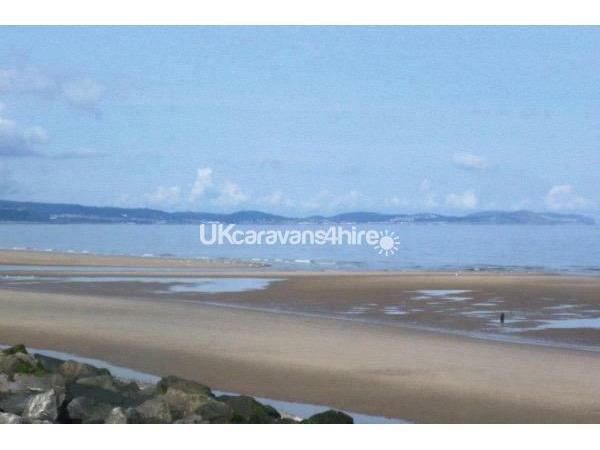 Modern 6 Berth, 3 Bedroom Caravan to rent on Happy Days Caravan Park in Towyn. 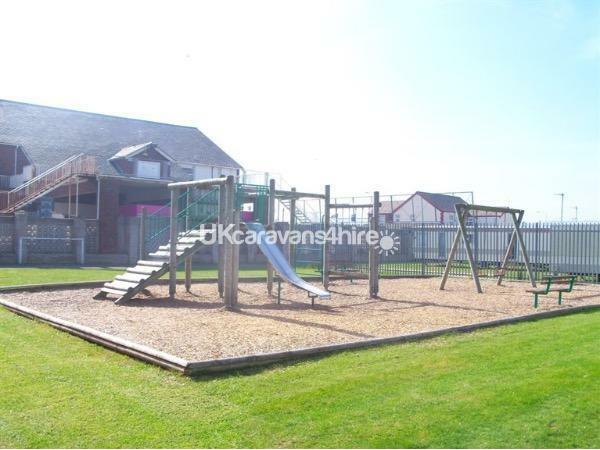 Our Caravan is situated next to the on-site children's playground. The caravan offers a home from home stay, which includes a Freeview TV in the lounge with DVD player and a selection of DVD's, there is also a TV/DVD in all the bedrooms. There is a main bathroom with shower and a additional toilet, there is an iron and ironing board available and travel cot if needed. 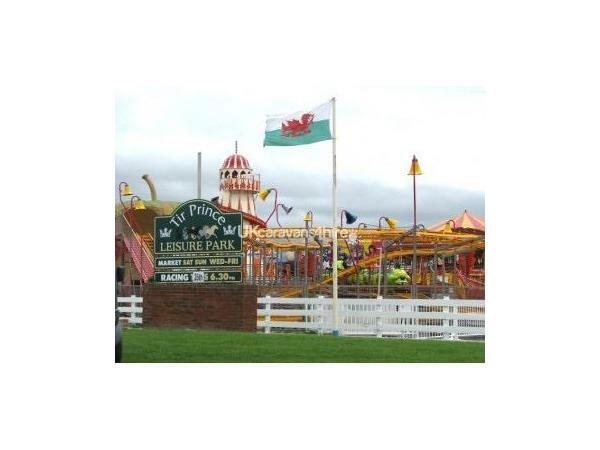 There are lots to do in and around Towyn, including the huge Tir Prince Funfair and markets which are open every weekend. Sunny's family entertainment bar and restaurant is located at our site entrance (Not part of the Happy Days park, but is free to enter). 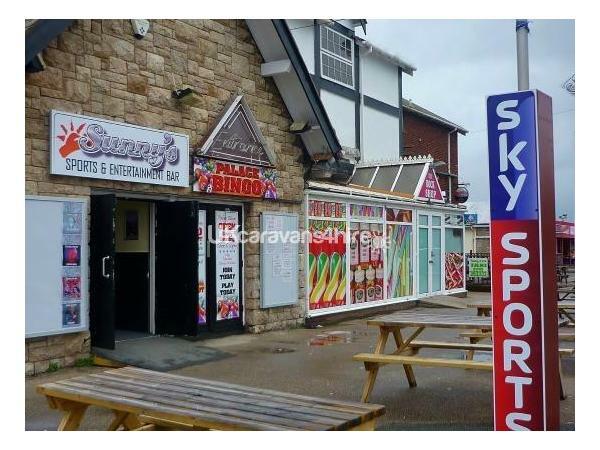 There are also arcades, takeaways, pubs, bingo, go-karting and much more within easy walking distance. There is a swimming baths at palins holiday park open to public only a 10 min walk away. Our site also has direct access to the beach leading to lovely coastal walks and bike trails. Across from the caravan park is the local country park which has a large playground with outdoor gym, football pitches, duck pond and picnic tables situated around the park. The local supermarket is a five minute drive away and Rhyl town centre less than 2 miles away. ALL beds will be made up on arrival , guests will need to provide own towels. The full amount is then payable including a £50 damage/breakages bond 6 weeks before your stay. The bond will be refunded within 7 days once the caravan has been checked. If it is a last minute booking then full payment including bond is required at time of booking. If holiday is cancelled in the six weeks up to the date of holiday full payment is none refundable. There is more than enough to keep the whole family entertained and we hope you have a great holiday. Loved our stay lovely and clean van made our holiday brilliant. Had a fantastic last minute holiday. Was perfect for our girls, we used the caravan as a base as it is in perfect location for different days out, mountain zoo (20mins away 10/10), Rhyl, Llandudno, Conway castle and on our rainy day went to the swimming pool 5mins away. Visited all the castles and had a morning walk on the beech. Just perfect.